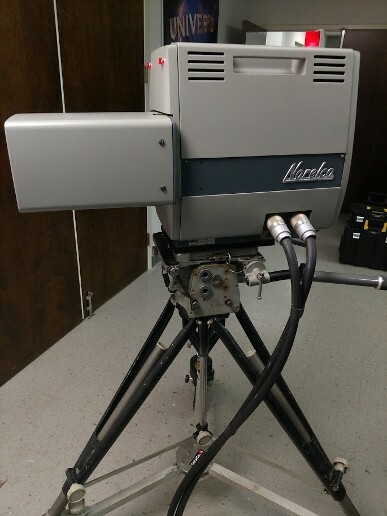 Most of our modern cameras are fully restored, repainted & working! Working cameras, working tally lights, working viewfinders! They have HD or SD output, working viewfinders (playback compatible with no flicker), working tally lights, and working Camera Control Units. 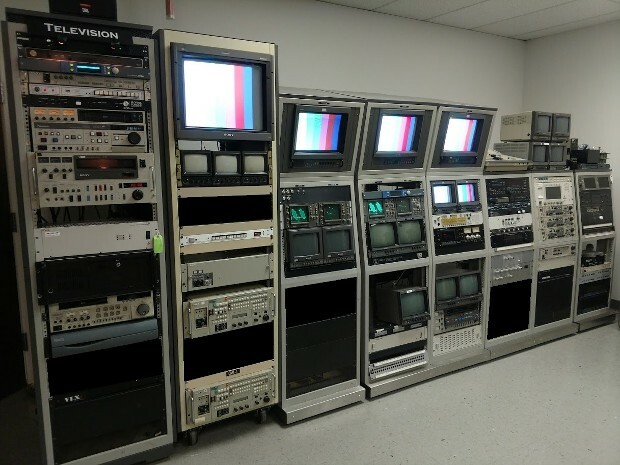 Internal electronics have been replaced with modern HD broadcast quality electronics. They provide an HDMI HD broadcast output, and an output for the Director's monitor! * Over 100 Film Still Cameras: 1880 to Present! 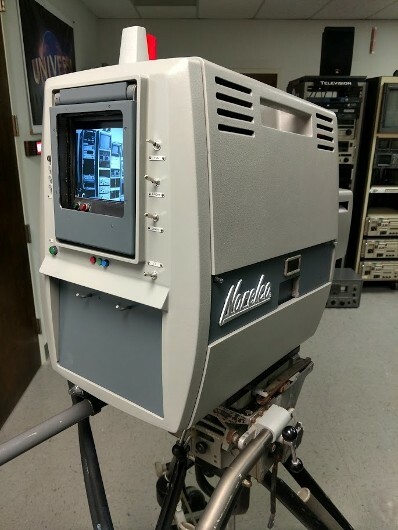 Our Studio Cameras have historic roots! 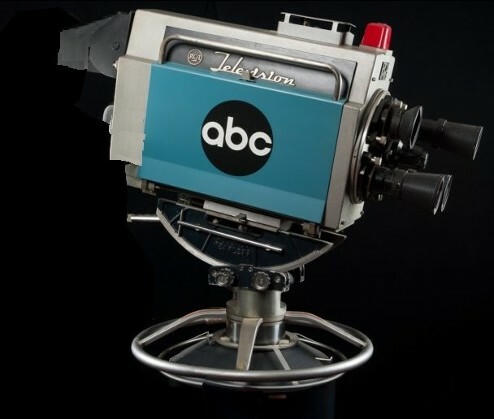 Our cameras are from: The Tonight Show with Johnny Carson (NBC Burbank Studio 6b), American Bandstand, The Howdy Doody Show, The Dating Game, The Newlywed Game, Family Feud, Sesame Street, Lawrence Welk Show, The Shopping Network, CBS Studios NYC, NBC Studios NYC, ABC Studios Detriot, CNN Studios & more! We are sincerely grateful. And our sincere thanks to our good friends Bobby Ellerbee and Chuck Pharis for their tremendous efforts in this! 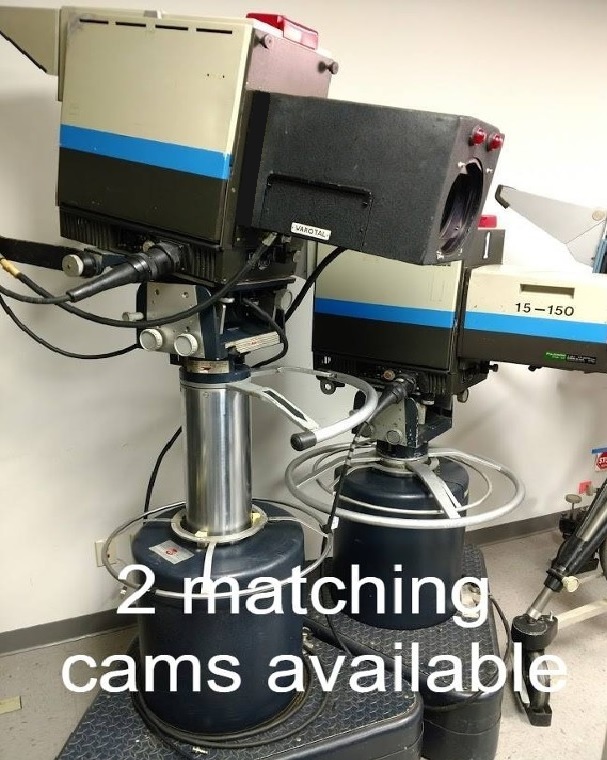 Over 50 cameras to choose! 1940's to 2018! 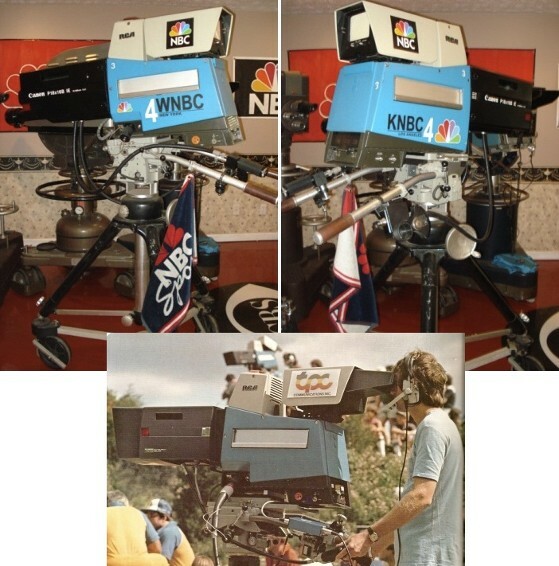 We also have over 125 ENG News Cameras from the 1950's to Present! 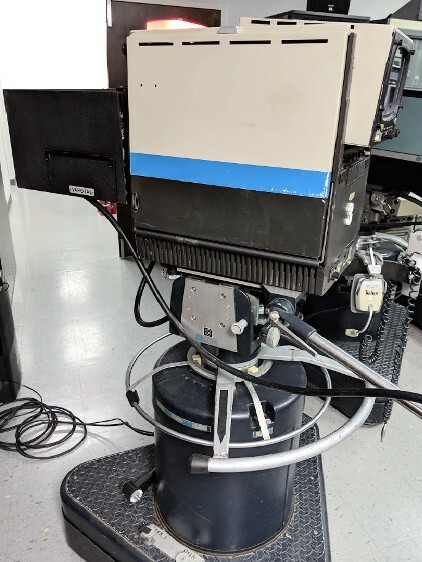 Most Studio Cameras come in sets of 2 or 3 cameras to get a 3 camera shot. 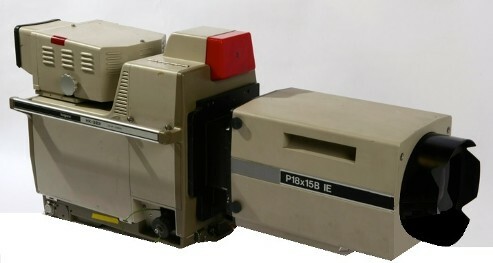 Some models have as many as 10 cameras available in the same style. 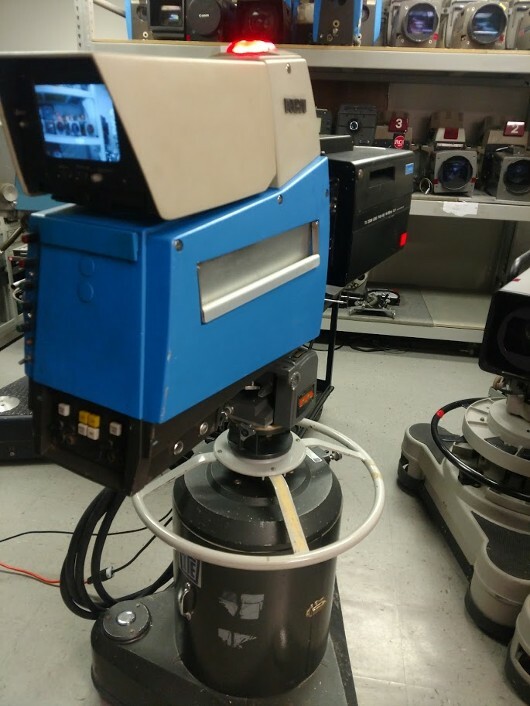 Many of our cameras are working and practical! Working cameras, working video, working tally lights. 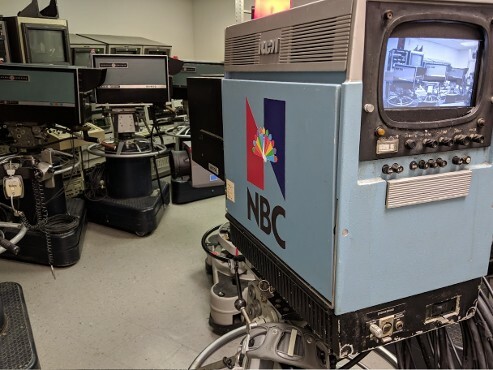 Vintage models have been fully restored, repainted, new logos, and their internal electronics have been replaced with modern HD broadcast quality cameras, working viewfinder monitors, and they provide an HDMI cable for the Director's monitor. We have broadcast Booth Racks filled with working monitors and working gear! 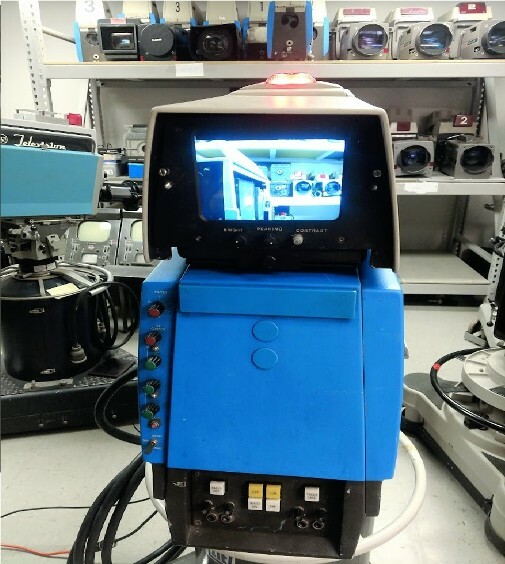 The Camera Control Units are working and they connect to our Cameras! 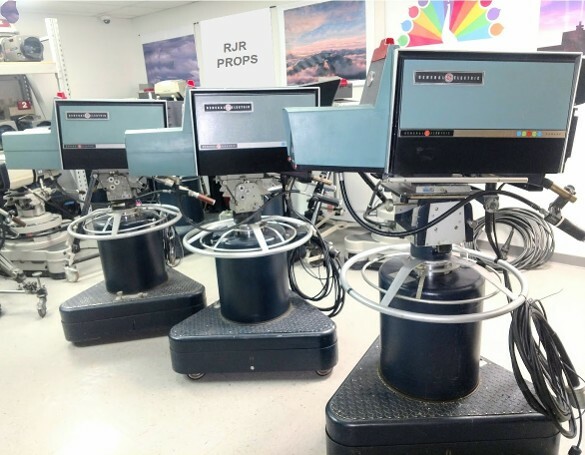 We have (3) GE PE-250 Studio Cameras fully restored, with working tally lights, working viewfinders. Internal electronics have been upgraded with modern working HD Broadcast cameras, and HDMI output for Director's monitor! Incredibly fine detailing work went into these. All details meticulously restored. 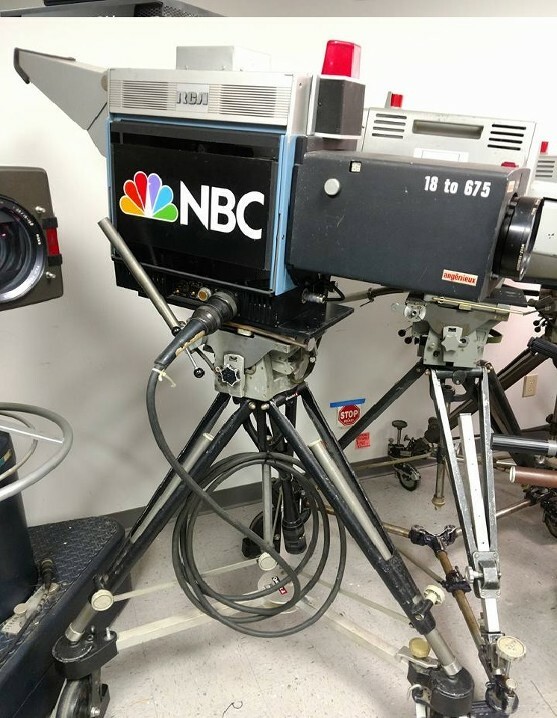 We have 3 Norelco PC-70 Studio Cameras fully restored, with working tally lights, working viewfinders. 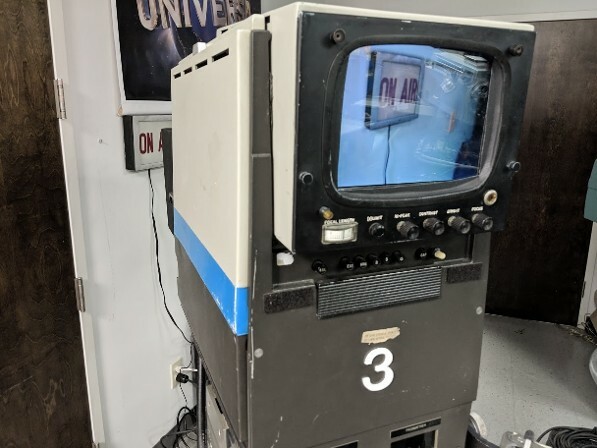 Internal electronics have been replaced with working modern HD Broadcast cameras, and HDMI output for Director's monitor! Incredibly fine detailing work went into these. All details were meticulously restored. NORELCO PC-70: working tally lights! NORLECO PC-70: working tally lights! NORELCO PC-70: working & practical! NORECLO PC-70: working & practical! 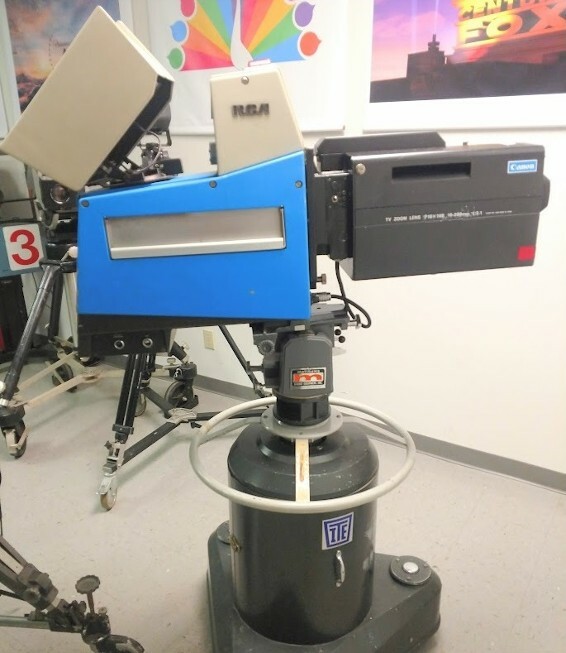 We have 3 RCA TK 44 Studio Cameras are fully restored. The Cameras look excellent! RCA TK44: working tally lights! RCA TK46: working tally lights! 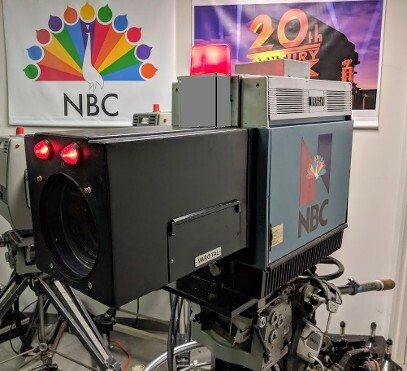 We have 3 RCA TK47 Studio Cameras are fully restored with working tally lights, working viewfinders, and HD Digital output. We have 7 more that are non-working for dressing only. 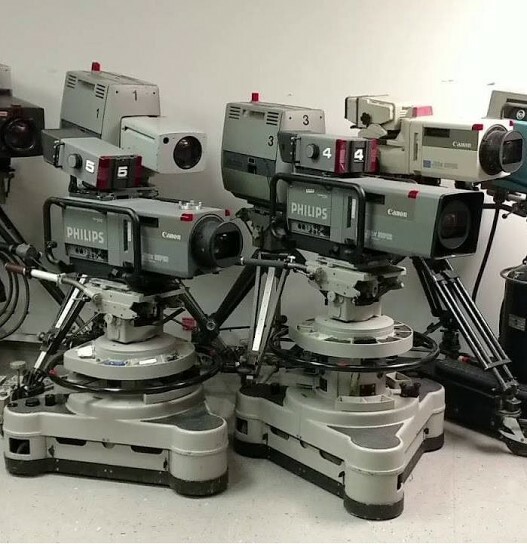 The Cameras look excellent! 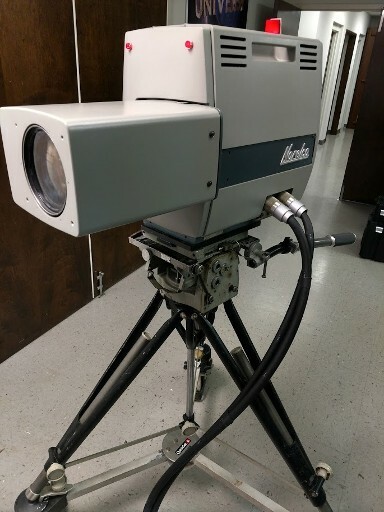 RCA TK47: working tally lights & viewfinder! You can see that it is working and practical! Providing playback! We have 3 of the same unit are shown above. 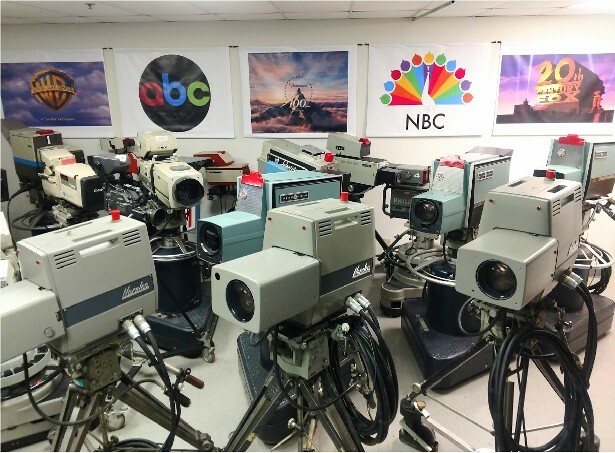 These are RCA TK 47 Studio Cameras are fully restored. 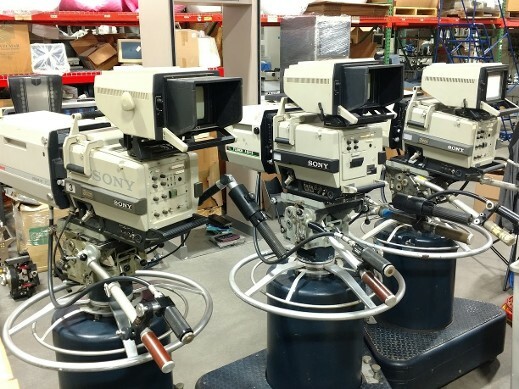 The Sony BVP-270 Studio Cameras are fully restored, with working tally lights, working viewfinders. 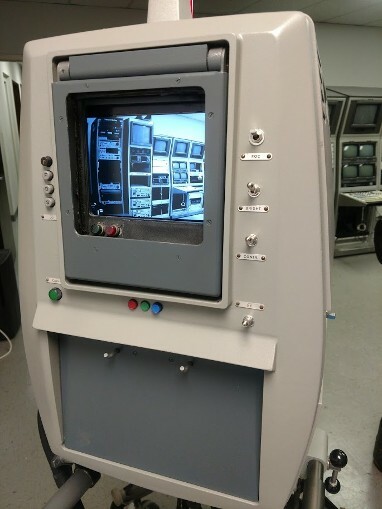 Internal electronics are all original and working. They output a SD output and they are compatible with our Camera Control Units and our working Broadcast Booth Racks. 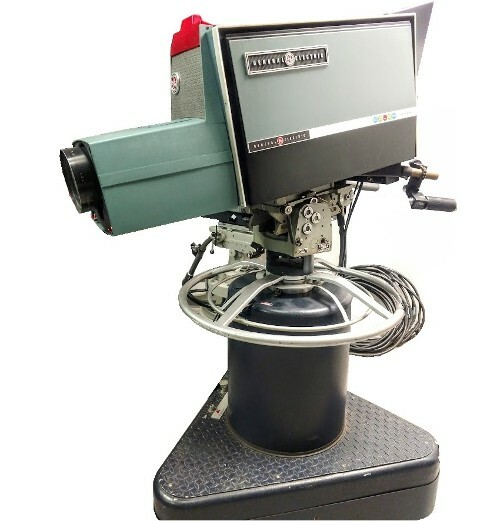 Signal can be converted for Director's monitor. Playback tech can be contacted for that. All details were meticulously restored. 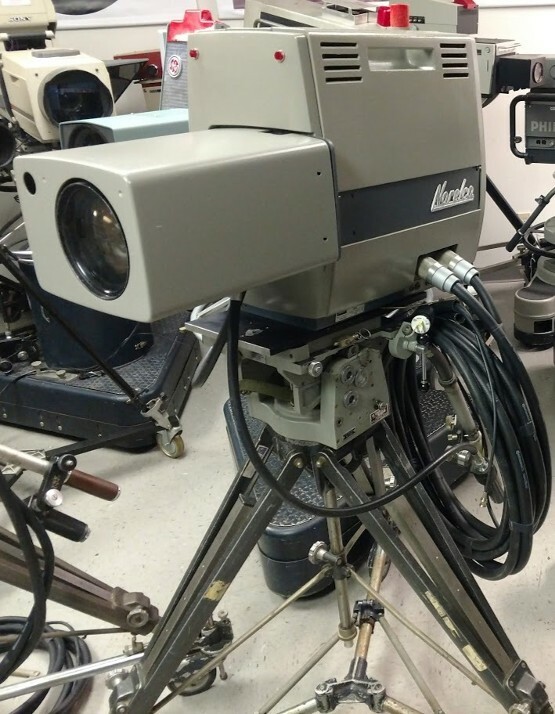 The Philips Studio Cameras are fully restored, with working tally lights, working viewfinders. 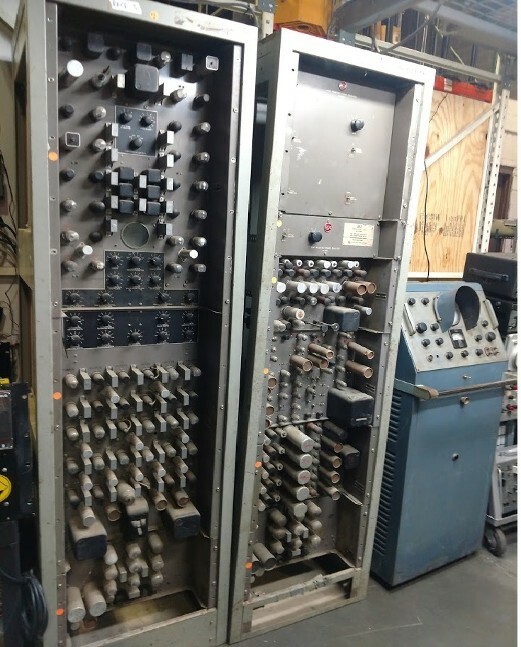 Internal electronics are all original and working. 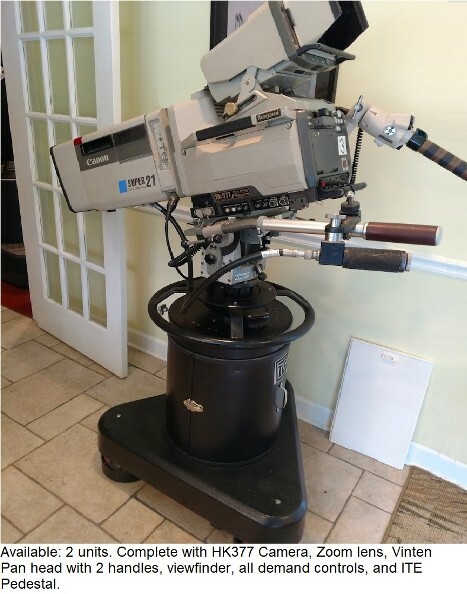 They output a SD output and they are compatible with our Camera Control Units and our working Broadcast Booth Racks. Signal can be converted for Director's monitor. Playback tech can be contacted for that. All details were meticulously restored. These are absolutely genuine. They are literally the last few left in the world as far as we know. Plus we have many more components avail to fill them, at our facility. 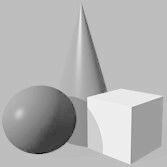 This page is under construction! 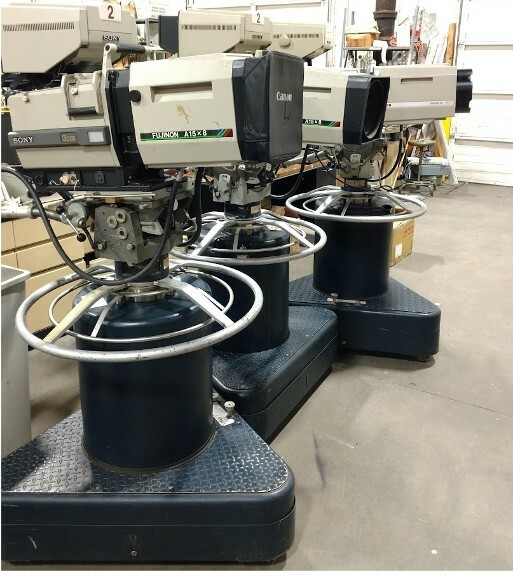 We are adding many more cameras! Please call if you need cameras, and we can send you photos of them!